Hey there and welcome to the July Bible reading schedule! I’ve received several messages and emails asking when the July challenge will be ready and I’m happy to say that it’s finally ready! This month we are studying a topic that so many Christians grapple with: waiting on God’s perfect timing. 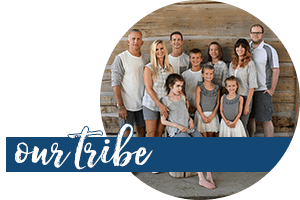 Whenever I’m working on ministry projects, I can often tell how much a project is needed by the number of obstacles I’m encountering. I’ve had to fight through technical issues and unforeseen delays for this plan & journal. The enemy is never happy when people dig into God’s Word and know his promises for themselves! But God has a plan even through my disappointment in the delays. The irony of this delay coupled with the title of the plan and journal has had me thinking, for sure. 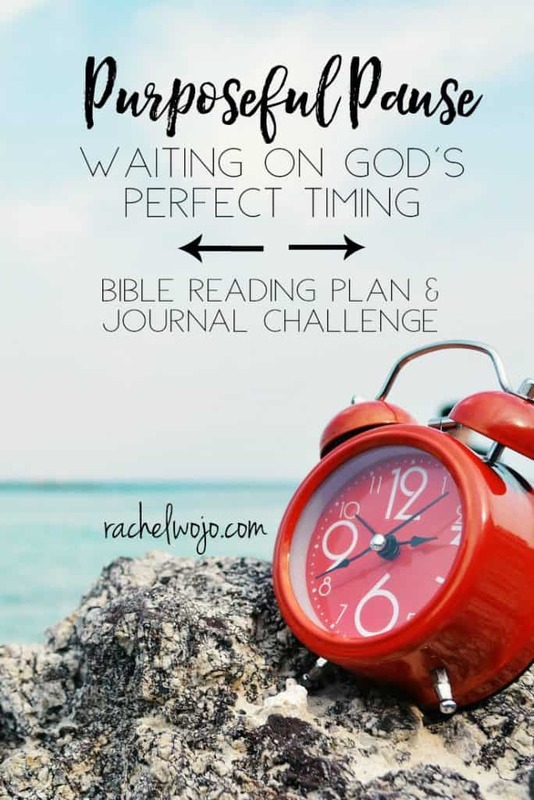 Check out these thoughts on the Purposeful Pause Bible Reading Plan & Journal Challenge. I know you’ve been there. You’ve prayed for an answer. The situation needs to be changed and quickly, in your opinion. Only God hasn’t revised it yet. You’re still waiting and it seems like nothing is happening. 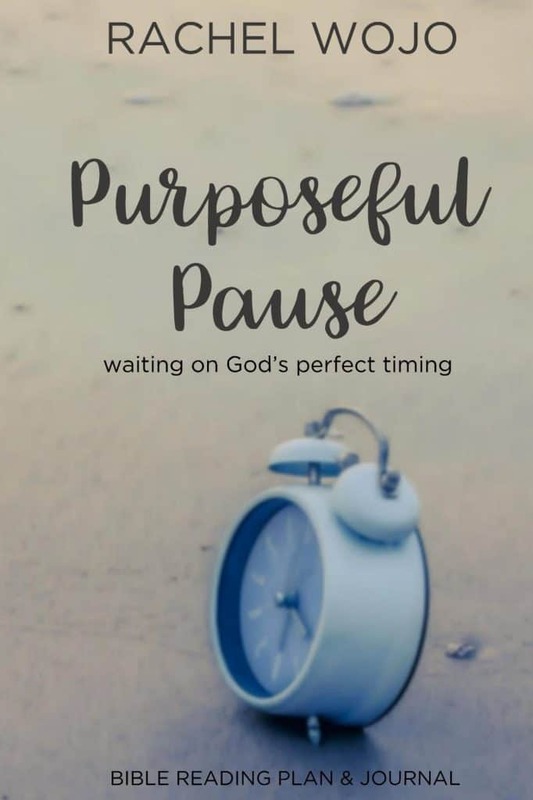 The Purposeful Pause Bible reading plan and journal provides 31 Scripture references ideal for one month of learning how to embrace God’s perfect timing. 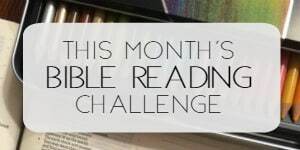 Welcome to the Purposeful Pause Bible reading challenge! 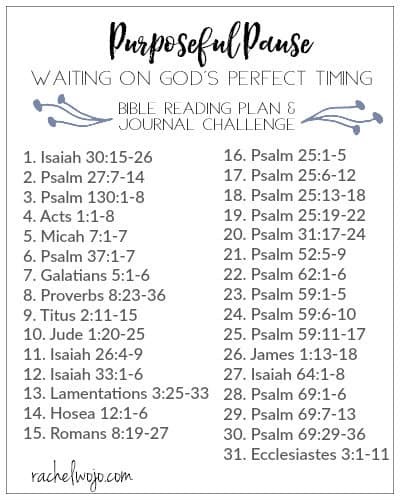 If you’ve never joined a Bible reading challenge here before, each day we follow the plan and read the passage. You can share what you are learning on social media or just keep it between you and God. My goal through the reading is to draw closer to Jesus, and I want that for you too! For this month, we will use the hashtags #purposefulpause , #waitingonGod and #biblereading. 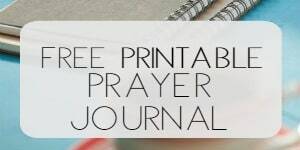 Almost every day, I post on Instagram or Facebook about what I’m learning through the passages and sometimes I post the Bible journaling pages I work on throughout the study. I am eagerly anticipating the lessons God has for me through this challenge! Thank you so much for encouraging me to dig into God’s Word each and every month as we continue to learn his word and apply it in our daily lives. Who’s ready? We begin July 1st! DON’T DELAY! I regret hat I have not been following the reading plan but I am interested.